One thing that strikes me about going zero waste is that it necessitates more careful thinking about what you purchase. If you start by thinking more carefully about the packaging you are buying instead of just the product, you may find you can get by with what you have. This is one of the major personal goals for someone wanting to embrace the zero waste movement. Do you need to buy plastic seed trays this year for starting your seeds? Maybe you have saved the ones you purchased several years ago. However, you can also use empty egg cartons or the Dixie cups you have stored away in the back of your cupboard. The point is, think about what you already have rather than throwing things away. Which of your recyclables can you use? 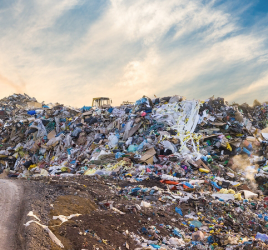 If you have read our previous article on the zero waste movement, you know that landfills are full of organic matter (uneaten food) that can’t rot and produce usable compost the way it should. Instead, it produces methane which is a greenhouse gas. The no-brainer for any gardener should be to divert the lion’s share of your trash – leftover food and scraps – to a compost bin. 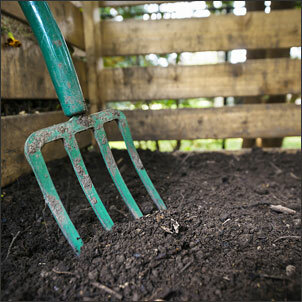 This practice can save you money in two ways: less waste to pay to have hauled away and rich compost for your garden you don’t have to buy! The short answer is, almost anything organic. Please see How to Compost Just About Anything. Yes, there are some things more difficult to compost, like bread and meat, but it’s not impossible. Organic matter will break down if you give it time and the right conditions. 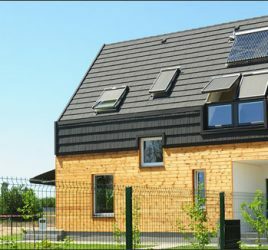 Maybe you are not going to be able to do a complex compost system if you live in the suburbs with limited space. But a small, round compost bin that you can turn should do the trick nicely. You can compost paper, grass clippings and leaves. 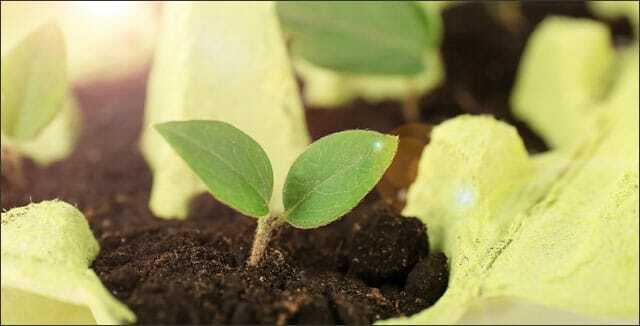 Coffee grounds and egg shells are especially beneficial for plants. Try to use what you have to store compostables in the kitchen. You can give those plastic storage containers that you don’t want to use for your food another life as a compost bin. Set it on your counter with a little sign to remind everyone, and in no time you will notice how many fewer trash bags you take out every week! My guess is that you are not going to stop using toilet paper. However, what about paper towels and napkins? Can you invest in a nice set of linen napkins or find some at the thrift store? Establishing a bin of rags to use for spills and cleaning isn’t so hard. They can be thrown in the wash again and again. Pretty cotton handkerchiefs abound in antique stores, and they are usually very cheap and sturdy. Plus, they don’t chafe your nose after a few uses. Streamlining your cleaning products is another way to reduce expenditures and help the environment. Not only will you stop buying products in plastic bottles, but you will also stop pouring all those chemicals down the drain. Did you know that vinegar is as effective at disinfecting as bleach? Vinegar has many great uses around the home and garden! In addition, you can ingest vinegar, so you know it’s safe for your little ones and the earth. Try one of these recipes for a natural citrus vinegar all-purpose cleaner. It might take a little bit of learning, but it’s possible to go paperless with most of your home-related business these days. Receipts, bills, and paperwork can be done online, and usually very conveniently using your Smartphone. Resolve to go paperless for one piece of home office business every month and very soon your house will be less cluttered with paper! Buying recycled paper for craft projects is a great way to invest in the recycling system in our country. There’s just no getting around it. Convenience food generates a lot of trash. I always ask myself why my drive-through food has to come in so many layers of wrapping and bags! But, come that way it does. Supermarket food is almost as bad with all the single-serve pre-made items on the shelves. The truth is that these things are far less healthy for us, and they are far more expensive than buying in (relative) bulk and making your food from scratch. 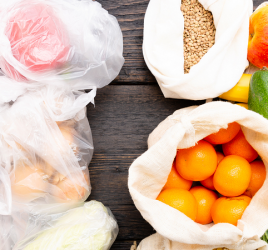 Grocery store produce even comes with layers of plastic bags. Not one single item comes without a sticker attached. 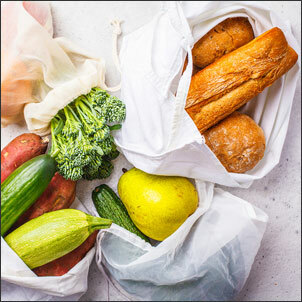 Farmers market or CSA produce, in season, tends to be cheaper, healthier, more local, and it comes without all the waste generation of supermarket produce. Plus, you can feel good about giving your money to a local farm. Buy extra when you can and freeze it. 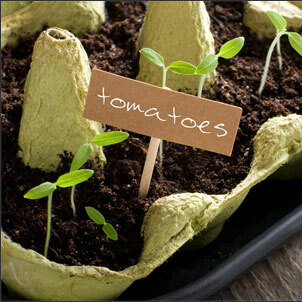 Better yet, grow your own fruits and vegetables whenever and wherever you can. It’s the ultimate way to cut down on waste. Find a local bakery who will let you take home your bread in your own reusable bags, a local Mexican restaurant that will let you buy fresh tortillas or any other local shop that has what you like made fresh. It’s not realistic to think you are going to start making everything from scratch, but you can cut down on a lot of it by buying local. These are just a few ideas that can make a significant impact on how much waste you generate. If you implement some of these, you will be making a big difference. You can also feel good about making small changes one at a time. How are you making a difference to go zero waste? Please share your tips in the comments below.